Even as we clarify intentions and priorities for a coming year, we need to be able to take wise action to manifest those intentions. And sometimes we have to choose which priorities we will focus on first. The Wheel of Life is a coaching tool to help you do just that. I learned it 10 years ago from The Coaches Training Institute. Here’s a link to their form, but I think you’ll get more benefit by starting from scratch and identify your own priorities on the wheel. 1. Draw a large circle on a blank piece of paper. Draw lines to divide the circle in half, in quarters, in eighths, like cutting a pie. On each axis dividing the segments, mark 1 closest to the center through 10 on the rim. 3. For each segment, identify how satisfied you feel in this moment with that segment of your life. 1 = not satisfied at all; 10 = totally satisfied. Lightly draw a solid line across each segment based on that assessment. You now have a visual image of the smoothness or bumpiness of your wheel of life. 4. As you look at the lines connecting the segments, how much disparity is there among the segments? If these lines were connected into a wheel, how bumpy or smooth would the ride of your life be right now? 5. For each segment, identify where you would like to be in the next year, i.e., moving financial security from a 3 to a 6. Lightly draw dotted lines across each segment. 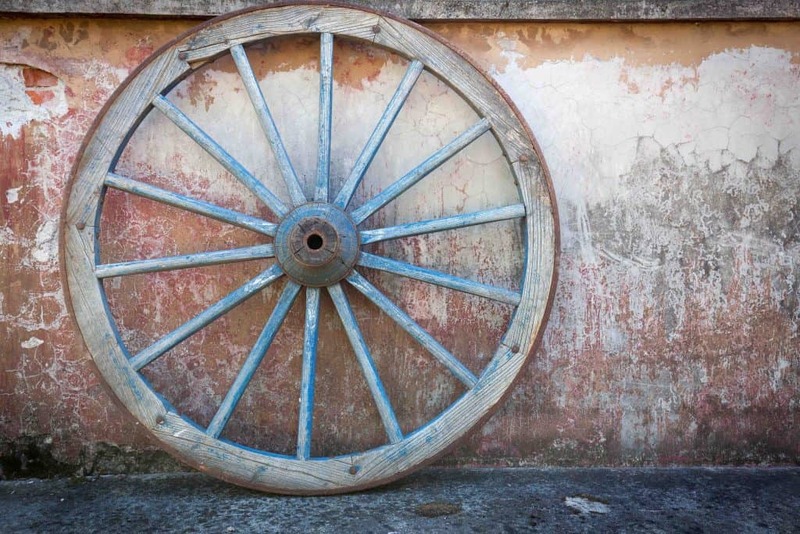 Notice how bumpy or smooth is the wheel of life you aspire to. Notice any major disparities between the wheel of life in the current moment and the wheel of life you aspire to. 6. Identify three of the segments you would like to prioritize in terms of creating more satisfaction and more smoothness in your life as a whole in the coming year. You can use this visual image to help guide your intentions and your choices going forward, as we will continue to do in these posts. Happiness occurs when what you think, what you say, and what you do are in harmony.